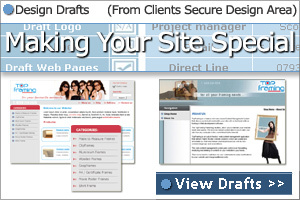 Framing specialists MF wanted to develop a framing website to market directly to retail customers. This involved a sophisticated "hand made" ecommerce process, created by a programmers, in addition to a normal online store. 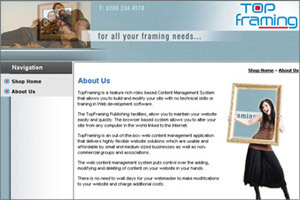 Our team wrote web software to break new ground in the framing industry, for an easy to use framing purchase. Our web and graphic designers are keen to work with other companies around South Woodford, London. Please contact us here. Whilst it's "made-to-measure" feature is not yet launched, frames will be appearing soon.